The Austral Slenderline Collection is ideal for those properties with limited space. 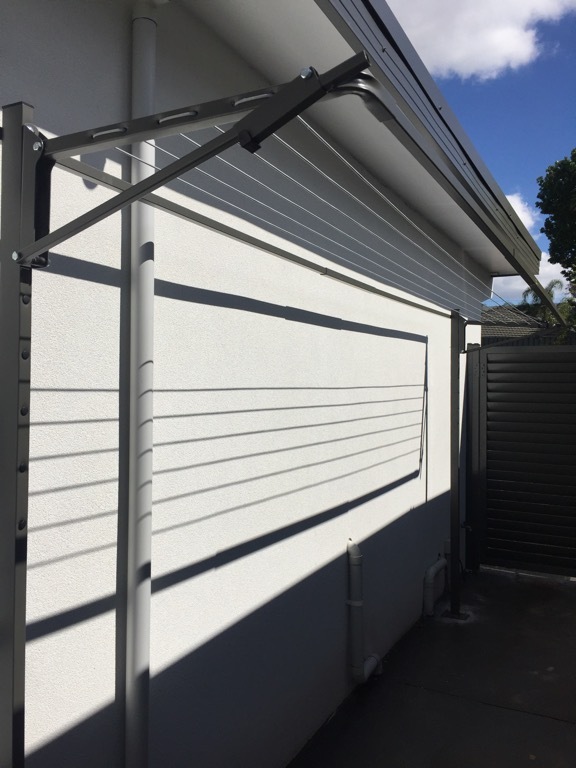 Its narrow design allows for installation in those areas which might otherwise be too small to use with a standard clothesline. The durable steel frame is 0.6m deep and comes in 2 different lengths giving the option of extra line space for those long, narrow corridors. The soft push up action allows for easy fold up and release down when not in use. 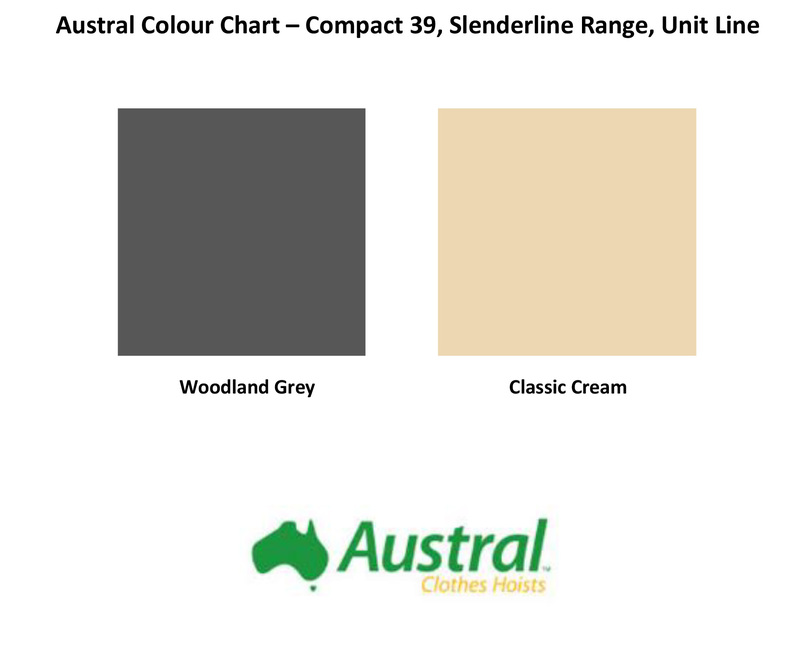 An Australian Made Product, the Austral Slenderline Collection comes in the following colours: Woodland Grey, Classic Cream. Can be installed on a brick wall or in the ground via a ground mount kit.